This home has achieved $66,106 in 2018 rental income! 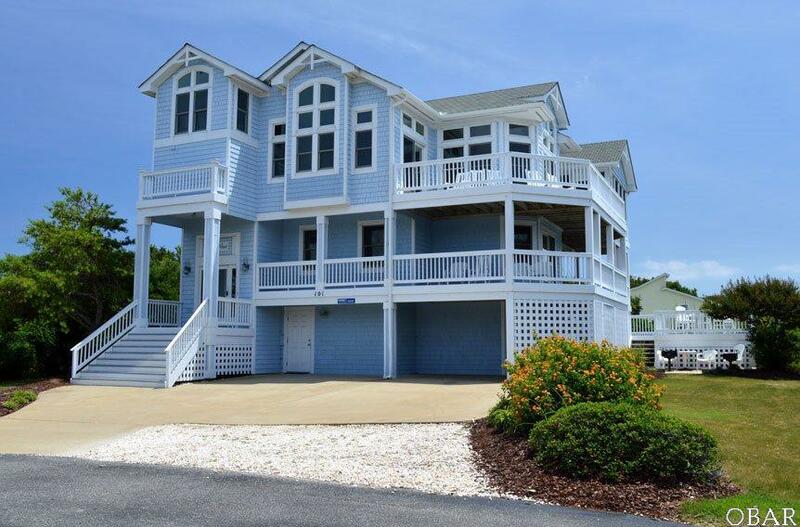 Come back to your favorite beach home! Deja Blue is no illusion! Carefully planned and cleverly delivered, this masterpiece vacation home is a Must See! 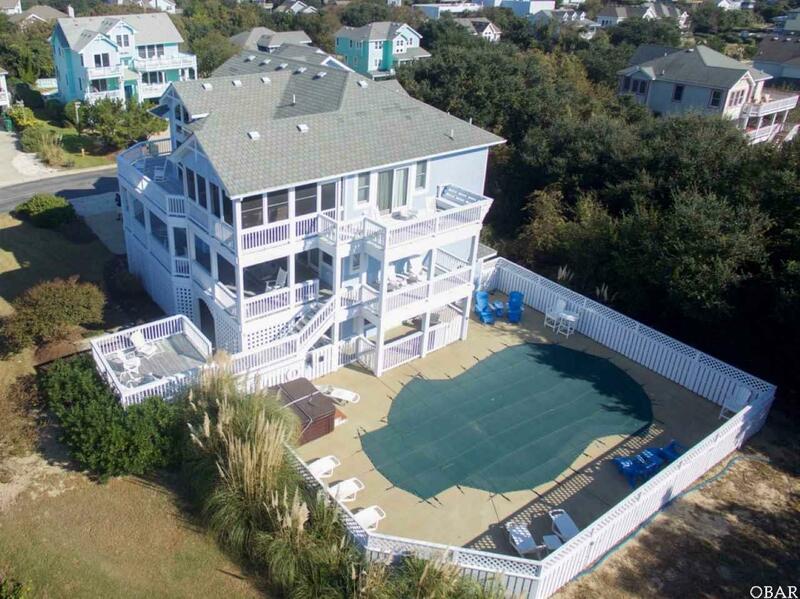 Enjoy Duck Landing amenities, views, privacy and elevation. 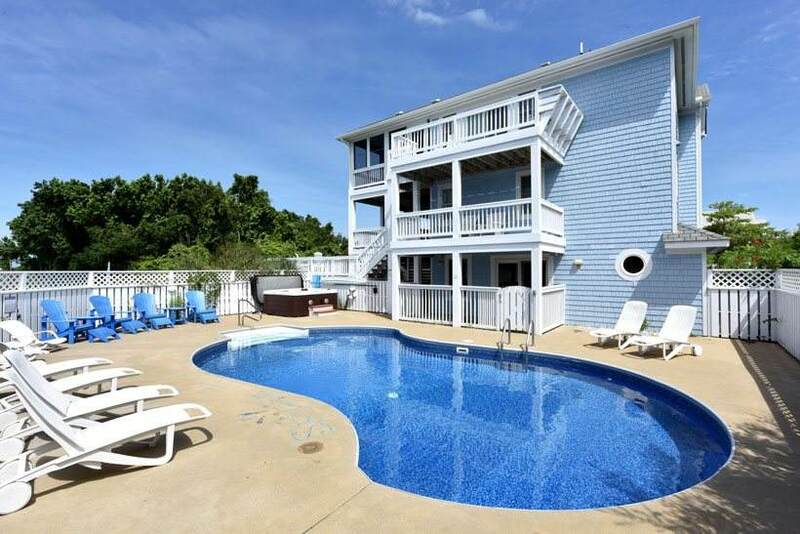 Just a short stroll on the sidewalk to the beach with super easy access to town amenities, music and restaurants, the location is perfect. Outside the home the back yard is designed to please with a large custom pool, grilling area, lush lawn for games, screened porch, wrap around decks, raised sun deck, outside shower, imported deck furniture and more! The professional landscaping and wrap around decks add tremendous appeal to this distinctive home! 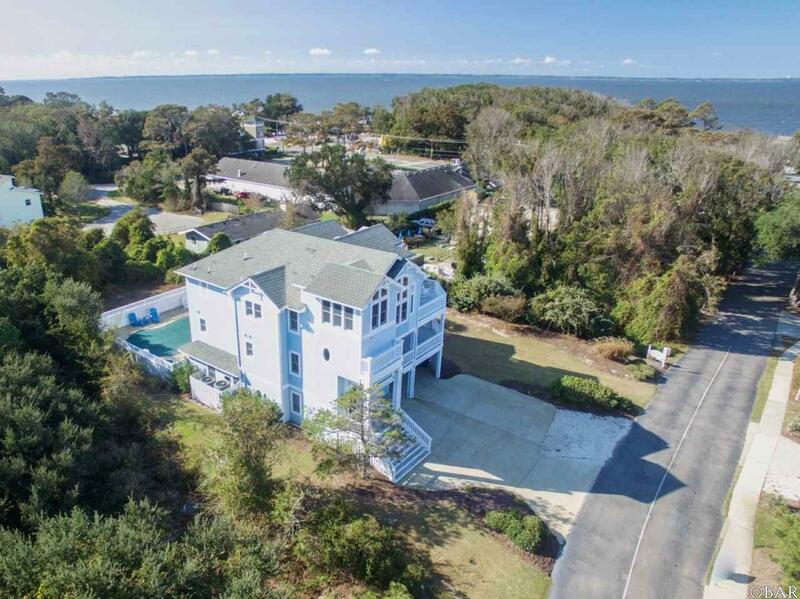 Inside you will find upscale coastal d'cor framed by hardwoods, cathedral ceilings and large windows with transoms. Small touches throughout the home set it apart from othersprivate deck access from bedrooms, custom tiled showers, built in bunks and storage, LED lighting, custom fixtures, updated electronics, expansive owner storage, wainscoting, and more! 2019 prime weekly rate $5,360.